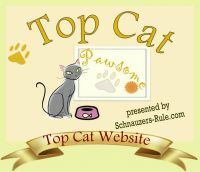 Cat furniture, cat toys, & other cat play supplies on sale! Cat Play Items On Sale! Bulk Cat Play BallsFour dozen cat play balls! Catitude Carnival Cat TreeBored kitty? Try this! Feather Wand Dangler Pole Cat ToyEnjoy a little “kitty fishing”! Fins 'n Feathers Nesting Cat Scratcher DuoComes with feather wand! Football Combo Cat ScratcherTwo scratchers in one! FroliCat Flik Automated Cat ToyCats who love chasing strings will go wild for this! Giant Christmas Tree 2-in-1 Cat ScratcherMade in the USA of 100% recycled materials! Giant Purr-fect Stretch Cat Scratcher LoungeOver a yard long! Holiday Express Train Cat ScratcherGet your cat in the holiday spirit with this scratcher! A great value for shelters or rescue groups! Kitty Club Chair with OttomanComes with its own mini-scratcher ottoman! Kitty Nips Bag of 25 ToysFilled with organic catnip! to see more cat play products on sale!